BCRP manages over 40 recreation centers for your enjoyment and leisure activities. Each center offers a wide array of programs for children and adults. 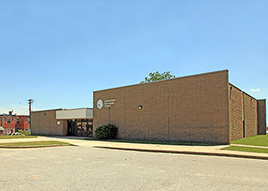 Activities include enrichment classes, theatre productions, arts and crafts, and gym activities. Be sure to contact any of your area recreation centers for more details. 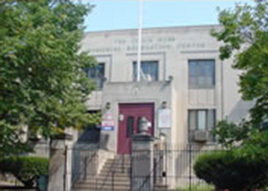 Some former City rec centers are now managed by private operators. Visit the Private Operator Centers page for details on programs, hours and activities at those centers. Sign up to receive updates on Recreation Centers in your area. 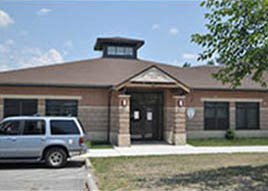 Effective September 2017 Recreation Center hours of operations are 1:00 pm-9pm; unless programmed as a community center 9am-9pm M-F, 9am-5 pm Saturday. 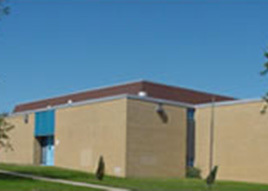 For information about recreation centers when there is inclement weather, click here. Satellite sites operate 5pm-9pm and select centers have extended hours per the Violence Reduction Initiative (VRI), formerly B.A.L.T. For more information on extended hours, click here. Fall, Winter and Spring: 1-9 p.m.—Mondays and Wednesday through Friday; 10 a.m.-6 p.m.—Tuesdays. Summer: 8 a.m.-8 p.m.—Monday through Friday. Formerly owned by Mr. Winfield S. and Mrs. Florence E. Cahill, the property was donated to the City of Baltimore for “humanitarian and charitable purposes.” In 1969, a fire destroyed Cahill. 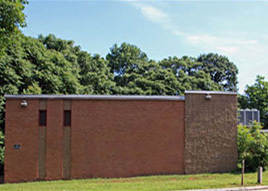 The recreation center was rebuilt in 1972. 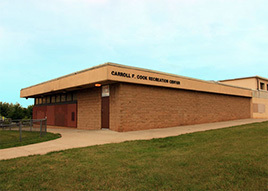 This recreation center is named after Carroll Cook, a civic leader who dedicated her life to the community. 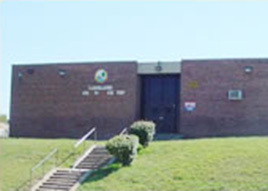 Named after Clarence Channing Jackson Jr., who served BCRP as a district supervisor for 34 years, C.C. 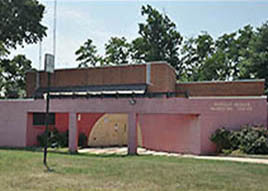 Jackson Recreation Center was dedicated to the community Jan. 15, 1977. 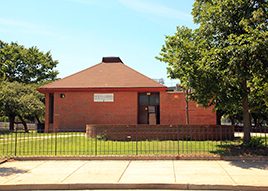 This recreation center was named after the notable African-American scientist and educator, Cecil Kirk. 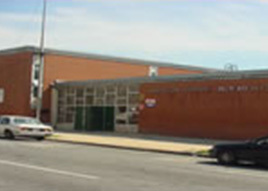 The recreation center is located in East Baltimore near North Avenue and Kirk Bus Division. 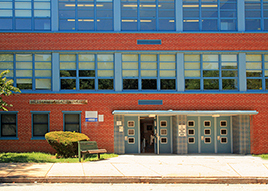 Built in 1947, this center was named after well-known musician and drummer Chick Webb, who grew up in East Baltimore. An indoor pool was added to the center in 1949. This recreation center is named after the community. 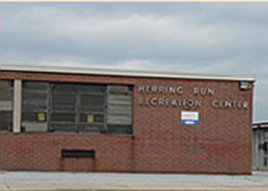 This recreation center was named after the community in which it serves. 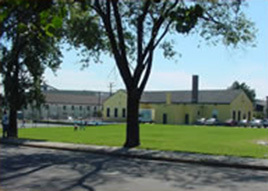 Formerly the site of a small fieldhouse, Edgewood Recreation Center became Baltimore's first recreation center in more than 30 years. 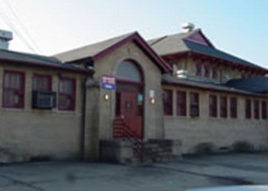 Located in Lyndhurst Park, the center attracts residents from the surrounding neighborhoods of Allendale, Irvington and South Hilton. These neighborhoods cover about 2.3 square miles and include over 18,000 people. The "Grandmothers of Edgewood"—Dolly Jefferson, Estella Willette, Margaret Bracey, Jacquiline Johnson and Gladys Jackson—were instrumental in making the new center a reality. 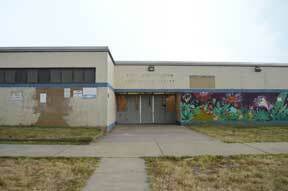 For years, they lobbied city and state legislators for the funds to replace the old fieldhouse. 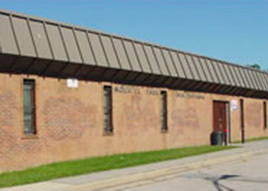 On June 21, 2005, Edgewood Recreation Center opened its doors to the community. 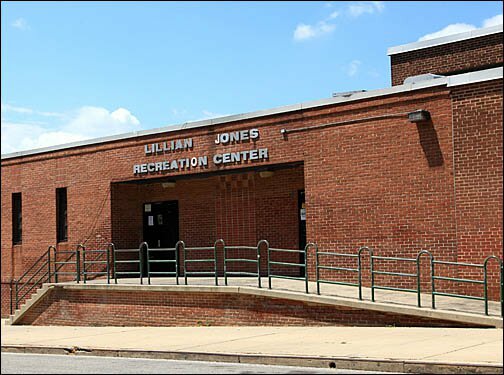 Dedicated to the community in 1977, Ella Bailey Recreation Center bares the name of one of West Baltimore’s most active community leaders. 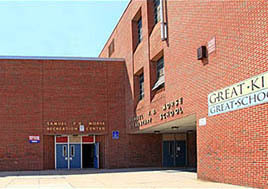 The center is attached to the Thomas Johnson Elementary School. Summer Camp Variety: 7:30 a.m.-5:30 p.m. 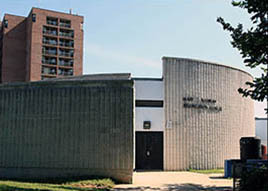 Built in 1957, the Gardenville Recreation Center became well-known for the skating program, which began in 1963. 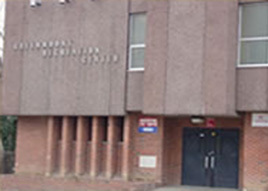 In 1976, a skating room was added to the site. 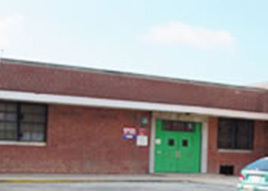 Located in Northeast Baltimore, the center is also known for its senior program, which currently has some seniors who have been members for over 30 years. 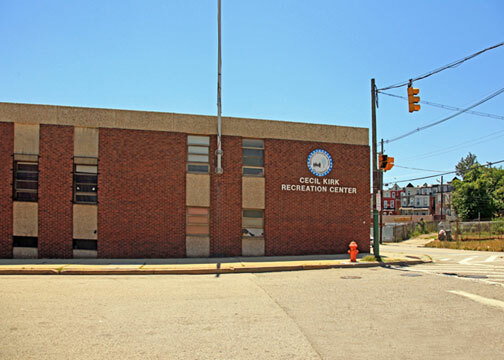 Greenmount Recreation Center was dedicated to the citizens of Baltimore in 1975. 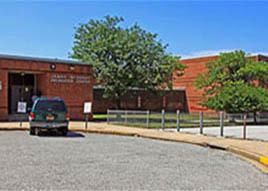 The center is located near the historic Thurgood Marshall Middle School. 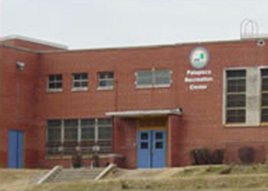 Originally called the Edgecombe Circle Recreation Center, the center was built in 1969. 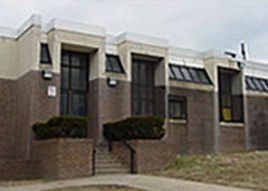 On April 15, 1976, James D. Gross Recreation Center was dedicated in memory of Mr. James D. Gross, who had served the community and the recreation center for a number of years. Fall, Winter and Spring: 5 p.m. -9 p.m.—Monday through Friday. This recreation was named after American Revolutionary War hero James McHenry. 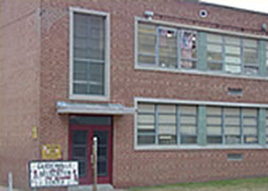 In 1967, the center was built as an attachment to John E. Howard Elementary School. Hours of Operation: Fall/Winter/Spring: 1-9 p.m.
*Note: please call your local recreation center for specific program offerings. Home of the "OLD MITEY-MITES and VIKINGS" Football Teams! 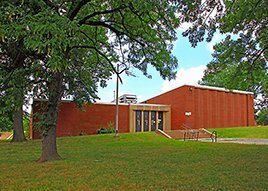 The recreation center was opened in 1966 by Mayor Theodore McKeldin. 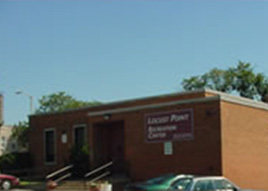 The original name of LaTrobe Recreation Center was changed to Locust Point Recreation Center in 1976. 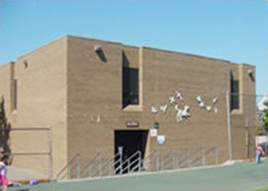 The recreation center was dedicated in the memory of councilman Dominic Leone on Sept. 11, 1977. Dome Summer Hours: 6-10 p.m.
Madison Square Recreation Center sits on the grounds of an old convent for girls. The square is used by the members of the community to plant flowers and beautification of the neighborhood. The center has been in existence for over 40 years. 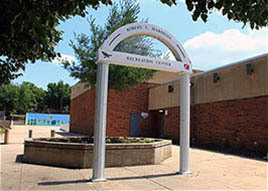 This recreation center is named after the nearby school, Mary E. Rodman Elementary School. 410-396-1236 / As of August 2018, please dial 443-690-2698. 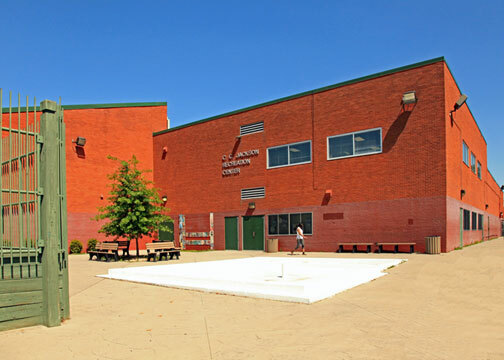 In December 1976, Mora Crossman Recreation Center was dedicated and named in recognition of a leader, teacher and administrator for the Bureau of Recreation in Baltimore. In 1919, Ms. Crossman’s career began with the Public Athletic League. She became a pioneer in playground and recreational programming. She worked for Recreation for 41 years before retiring. Ms. Crossman is a member of Baltimore City’s Recreation Hall of Fame, the foremost pioneer in Baltimore recreation. This recreation center was named after the community that it serves. Nestled in a community that is famous for its commitment to Baltimore’s arts and culture heritage, Mt. 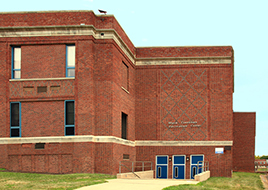 Royal Recreation Center is located within walking distance of the Maryland Institute College of Art, the Meyerhoff Symphony Hall and the Lyric Opera House. 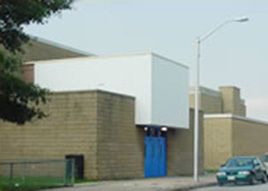 The center was built in 1964 and is located in the Northwood community of Northeast Baltimore. 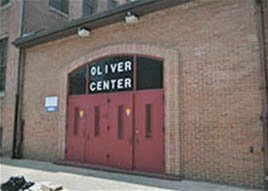 On Dec. 17, 1980, Oliver Recreation Center was dedicated to the community under the direction of Anthony Dease. Mr. Dease led the “Deaser-cize” aerobics class and was the center’s exercise guru who attracted many of the community’s heath-conscious participants. Working with the late William (Bucky) Lee, who was considered one of the greatest basketball coaches in the Baltimore history, Mr. Dease earned a reputation for having one of the most active recreation centers in the city. 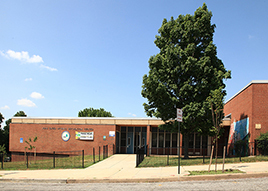 Named after the West Baltimore community known for its scenic views of Druid Hill Park, Parkview Recreation Center is also connected to the Parkview Elementary School. 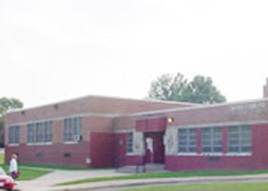 This recreation center is located in the Cherry Hill community, along the Middle Branch area of the Patapsco River. In the first of two major construction phases, the sparkling new center converted an existing pavilion sitting atop a historic 1920s pool bathhouse. 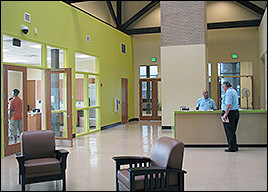 At a cost of $3.1 million, the first phase built a gorgeous main center with a community room, computer lab, fitness and locker rooms, game room, kitchen and arts & crafts room. 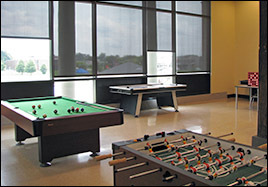 The center can host a workout group such as yoga, a cooking class or reception, special events like birthday parties or classes, and computer training. The back of the center overlooks the Clifton Park pool and will be adjoined by a 11,500-square-foot new gymnasium with restrooms, concession stands and capacity for special events, recreational activities such as basketball, volleyball, indoor soccer leagues, etc., and larger community meetings. This second phase will cost around $3 million and is currently in the design stage. Artist’s rendering of the complete Rita Church Community Center with new gym to the right. In 1911, the center was named in honor of President Theodore Roosevelt. 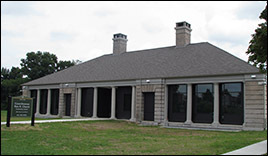 The recreation center was named for the inventor-of the Morse code, a revolutionary electronic telegraph system developed in 1836 and still used today. 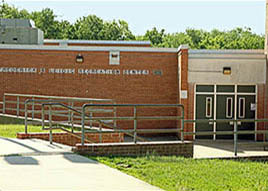 The recreation center is an open space program for the State of Maryland, declared by Gov. Marvin Mandel and Baltimore Mayor Donald Schaefer in 1977. During School Breaks: 11 a.m.-7 p.m. Built in 1968, the center was named after the General Electric’s employees who lived in the community and built their homes out of wood.